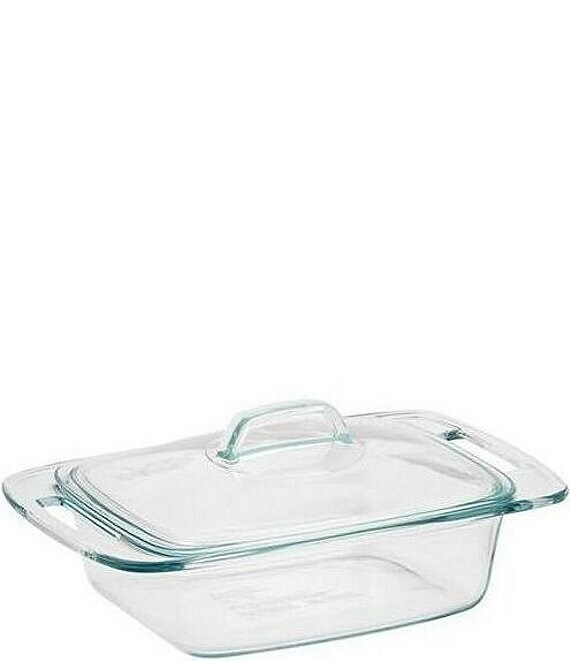 From the oven to the table, this 2-quart casserole dish with glass cover from Pyrex makes it easy to cook and serve all your favorite cakes, breads and casseroles. Enjoy maximum functionality with minimal mess. Dishwasher safe. Made in the USA.